This important work is a detailed biblical investigation of the relationship of Jesus to the one God of Israel. 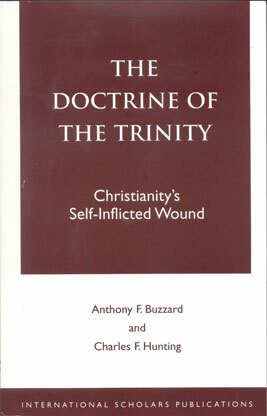 The authors challenge the notion that biblical monotheism is legitimately represented by a Trinitarian view of God and demonstrate that within the bounds of the canon of Scripture Jesus is confessed as Messiah, Son of God, but not God Himself. Later Christological developments beginning in the second century, and under the influence of pagan Gnosticism, misrepresented the biblical doctrine of God and Christ by altering the terms of the biblical presentation of the Father and the Son. This fateful development laid the foundation of a revised, unscriptural creed which needs to be challenged. This book provides a definitive presentation of a Christology rooted in the Hebrew Bible and the New Testament. The authors present a sharply-argued appeal for an understanding of God and Jesus in the context of Christianity’s original, apostolic, unitary monotheism. Available for free online in Spanish, Czech, Polish, Italian, German (email request), Norwegian, and Russian. Click here to purchase (English only). Copyright 2019 © Spirit & Truth Fellowship International. All rights reserved.